One of the biggest problems with new build homes in the the Uk is that they are designed with profits in mind, which means that the biggest factor in their design is saving costs. This is why there has become a market for luxury new build properties. These properties don’t seek to go along with just the bare minimum and often come fully furnished with fitted kitchens, high end furniture and even a bespoke fitted staircase. One of such companies in Liverpool is Forth Homes, they seek to build luxury homes, retailing for around £5-700,000. 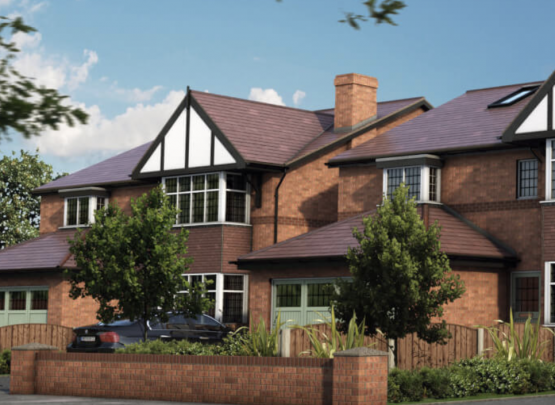 One of such developments is their Hall Road East build which included three luxury houses, each with bespoke fitted kitchens, bathrooms and bedrooms. For this development, forth homes wished to utilise their hall and landing spaces properly, rather than go for a “standard design” like most other new build homes. With that in mind the centrepiece of these hallways was going to be a unique fitted staircase, highlighting the bespoke nature of the three properties. The design chosen was a combination of glass and oak, with that combination highlighting the modern appeal of these homes and further accentuating the luxury theme. The glass balustrades also gave these homes a further boost in that it made the hallways much lighter and gave them a bigger feel. which is crucial in appeal in selling a property. Our unique approach for forth homes is that we not only manufactured the stairs but also helped design them as well. This is important as getting the design of the stairs right is crucial for potential buyers.